Only available from Hammacher Schlemmer, this is the wrist watch that displays the time in large, easy-to-read numbers. The 1/4"-tall black digits stand out boldly against the high-contrast white background for legibility even in low light settings. With three-hand precision quartz movement, and a splash-resistant stainless-steel case. Genuine leather strap. Includes SR626SW button battery. 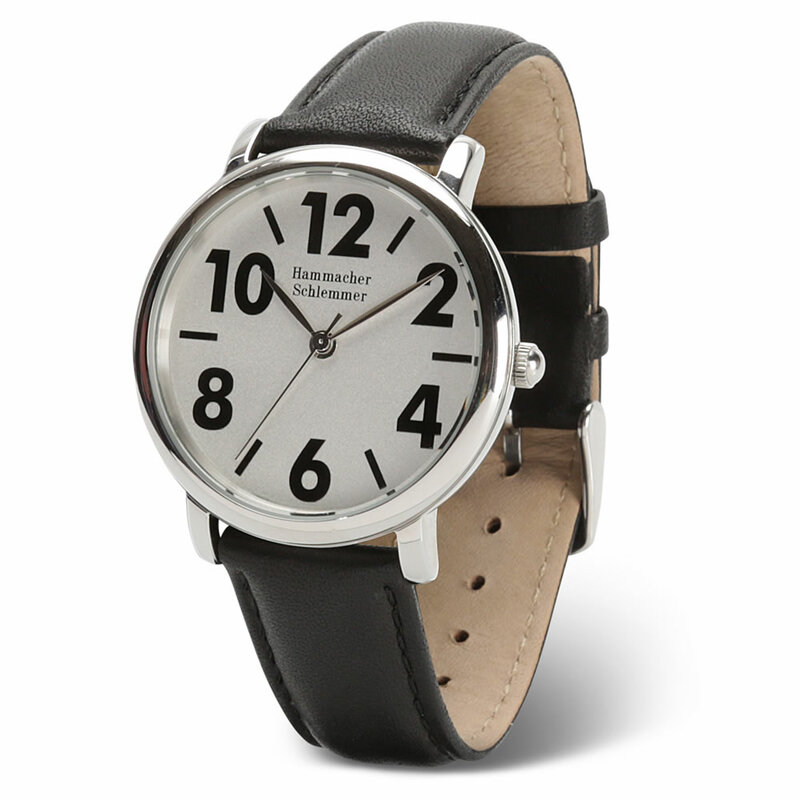 9-1/2" H x 1-1/2" W x 1/2" D.
The Gentleman's Easy Read Leather Wristband Watch comes with The Hammacher Schlemmer Lifetime Guarantee. Items that we sell are guaranteed for their normal life under standard non-commercial use.